This microwave steamer basket steams veggies, fish and a variety of healthy foods in minutes—retaining essential vitamins and flavors without using oil. Simply add water to the base, place food in the steamer basket, snap on the lid, and cook to perfection in the microwave. 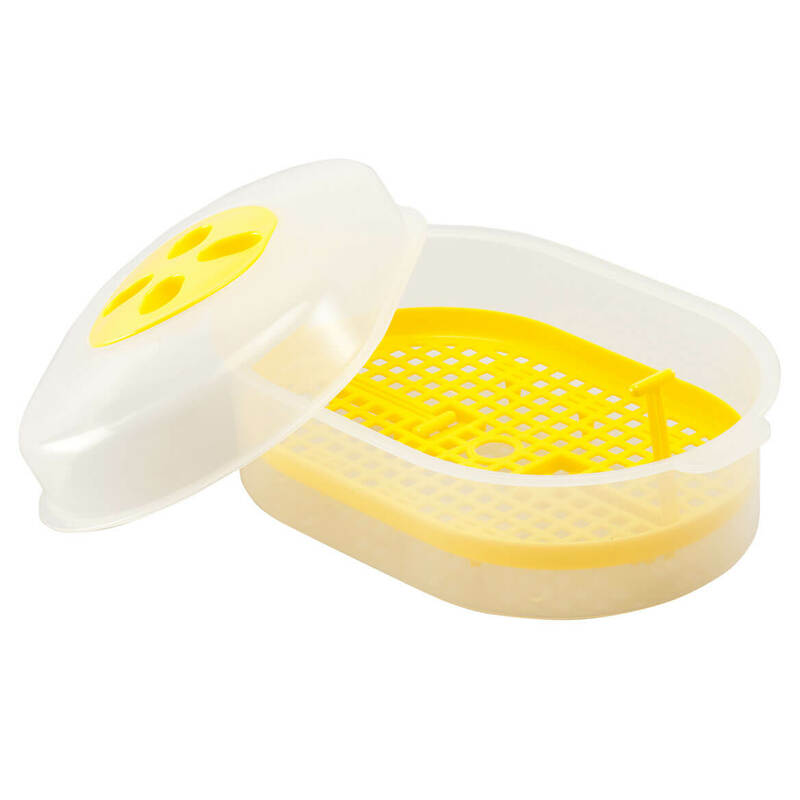 Food steamer insert’s footed design keeps food elevated above the water; collapsible handles allow easy basket removal. For added versatility, use the base and lid without the steamer insert to store and reheat leftovers. Plastic; dishwasher safe. Vegetable steamer measures 10 3/4″ long x 6 7/8″ wide x 5″ high. Microwave popcorn popper makes perfectly portioned popcorn with less mess. 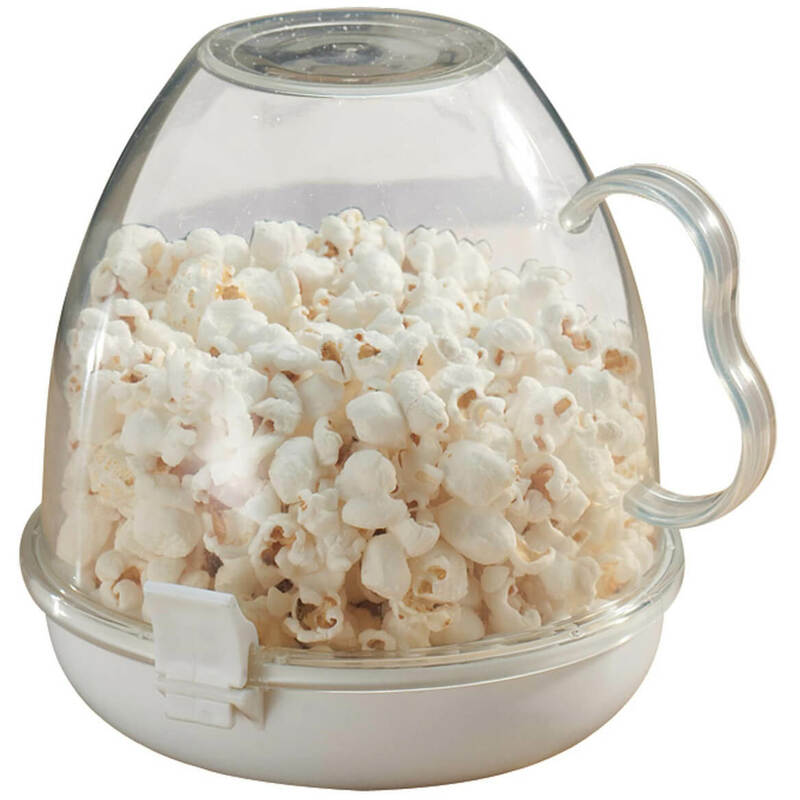 Simply add kernels with the desired oil, butter or flavoring to bottom tray of microwave popcorn maker. Snap on the clear bowl and microwave. Flip unit, remove lid and eat right from the handled bowl. Microwave popcorn bowl is dishwasher safe. 5 1/2″ long x 7″ wide x 6 1/2″ high. Vented microwave plate covers protect your microwave from splatters. Set of 5 covers range in size from 4 1/2″ dia. to 8 3/4″ dia. Microwave plate covers are perfect for reheating a variety of dishes. Nest for easy storage. Microwave food cover is top rack dishwasher safe. 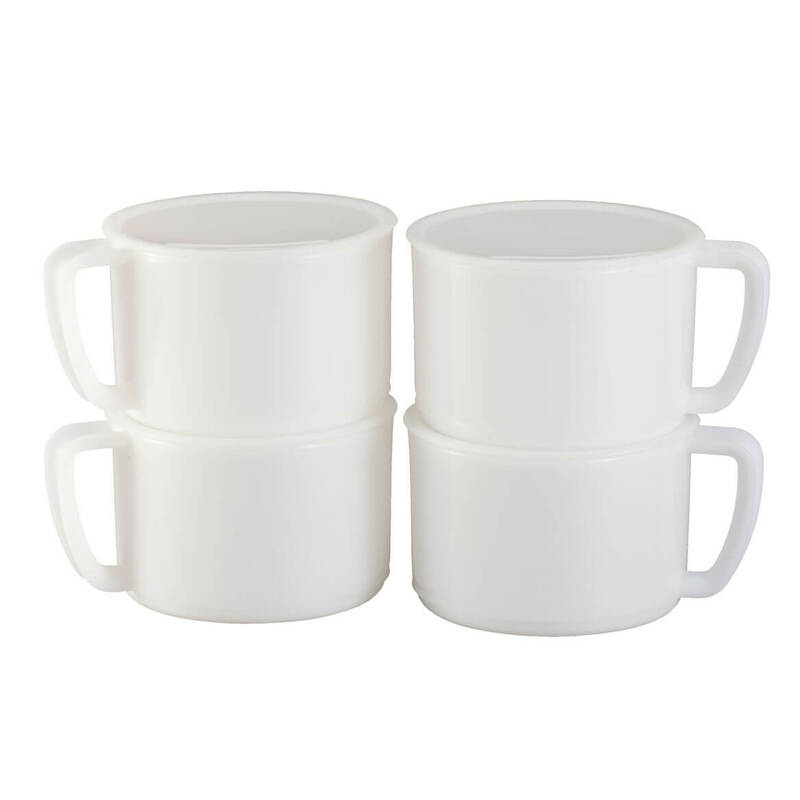 Microwavable bowls with lids hold a generous 20 oz. each. They’re great for heating soup, pasta or water, or re-heating leftovers. Lids prevent splattering and can be used as coasters. You’ll reach for them again and again! Plastic. Dishwasher safe. 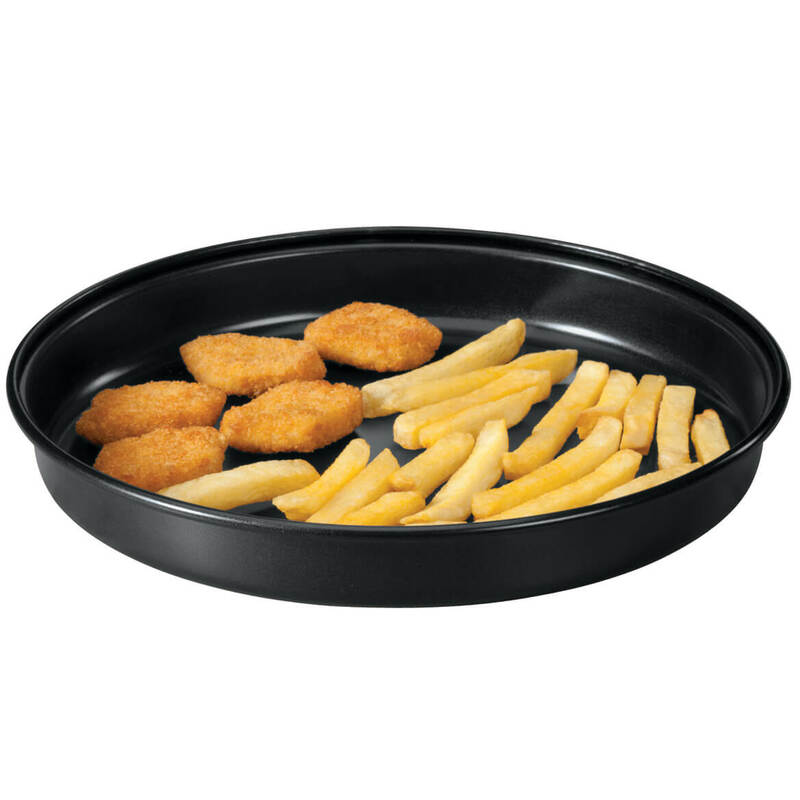 Finally … CRISPY pizza, fish, fries, bacon and more, hot from your microwave, crisped in this amazing microwave crisper pan! Specially engineered to heat food at high temperatures and prevent it from turning moist or soggy, the non-stick metal alloy renders oven-quality results in the microwave. Non-slip footed bottom protects surfaces. 1 1/2″ high x 9 3/4″ diameter. Hand wash. Works best in microwaves with turntable function. 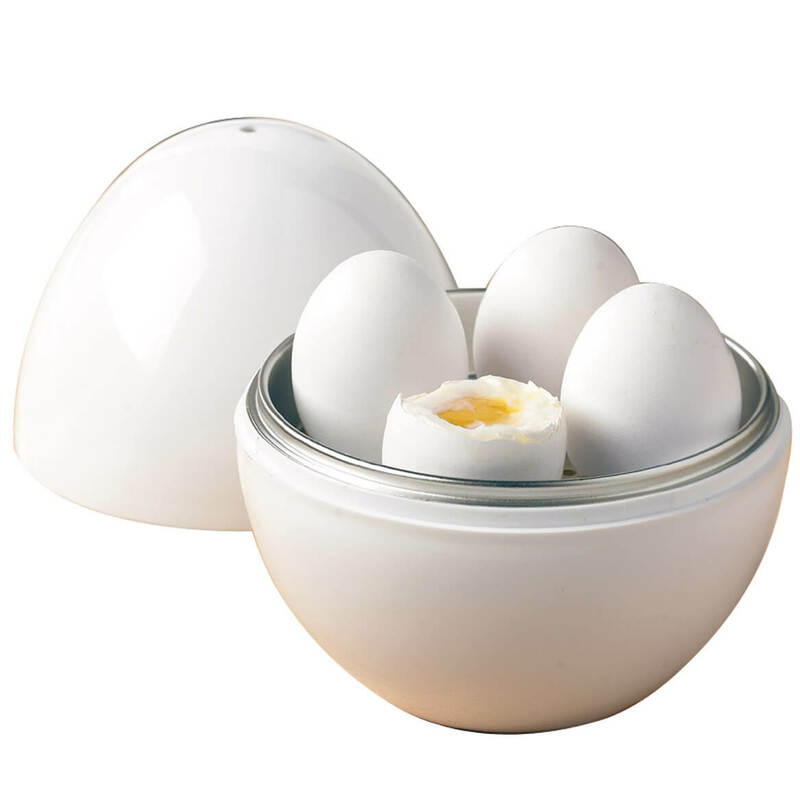 With the microwave egg boiler, enjoy perfectly boiled eggs from the microwave in minutes, without the worry of exploding shells. To cook up to four hard or soft boiled eggs, just add water to base of egg boiler, place eggs in the indented cups, set top on base and power up! Includes instructions. Aluminum and plastic. 6″ x 5″. Hand wash. Enjoy a quick breakfast sandwich at home with the microwave egg muffin cooker! 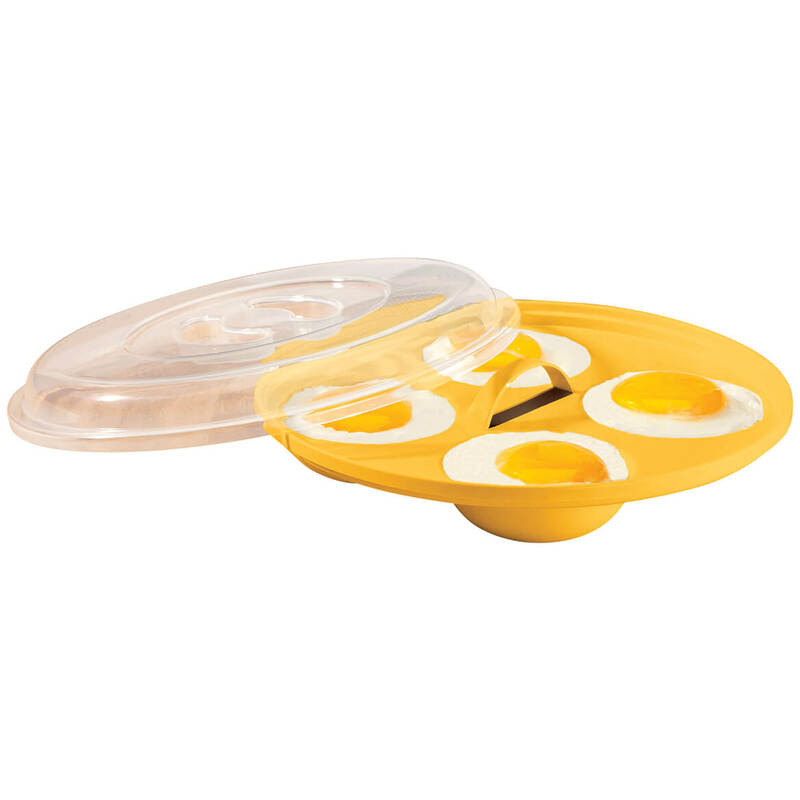 Simply add fixings to this plastic, microwave egg maker, close hinged lid and microwave—endering an “eggstravagant” 4″ diameter creation, perfectly fitting an English muffin. BPA-free plastic; hand wash. 6 1/2″ long x 4 3/4″ wide x 2″ high. Make quick, healthy breakfasts in your microwave with this 2-pc. microwavable egg poacher and omelet maker set. 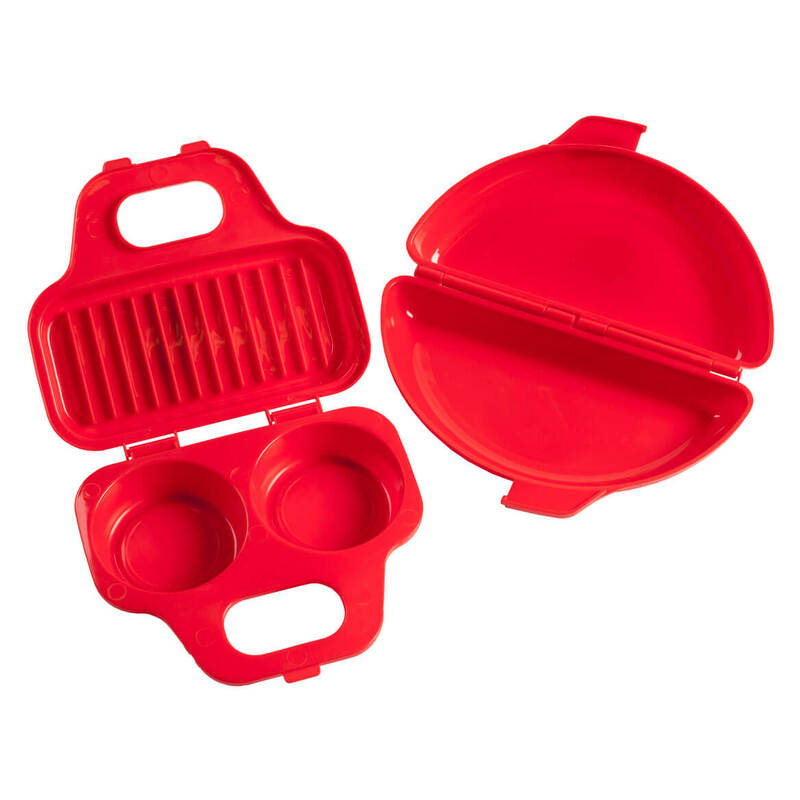 Designed in bright red plastic, each snaps closed securely to contain splatters and help retain heat and moisture during and after cooking. 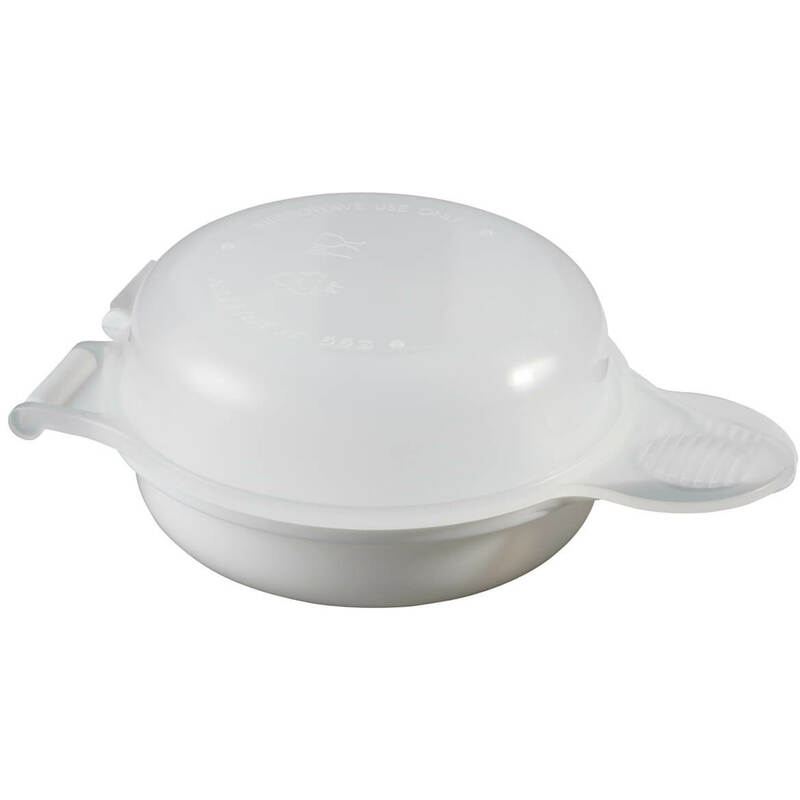 The egg cooker’s slotted lid can also be used to cook sausages, bacon or hash browns. Both pieces are dishwasher safe. Egg poacher: 7 1/2″ L x 3 1/2″ W (makes 3″ egg rounds). Microwave omelet maker: 4″ L x 2″ W.
Microwave egg poachers poach eggs perfectly in minutes! With our microwave egg cooker, you can prepare one to four healthy eggs quickly and easily. A single egg is ready in just 30 seconds, while two minutes is all it takes to cook eggs for four. Dishwasher-safe plastic. 2″ H x 8 3/4″ dia. 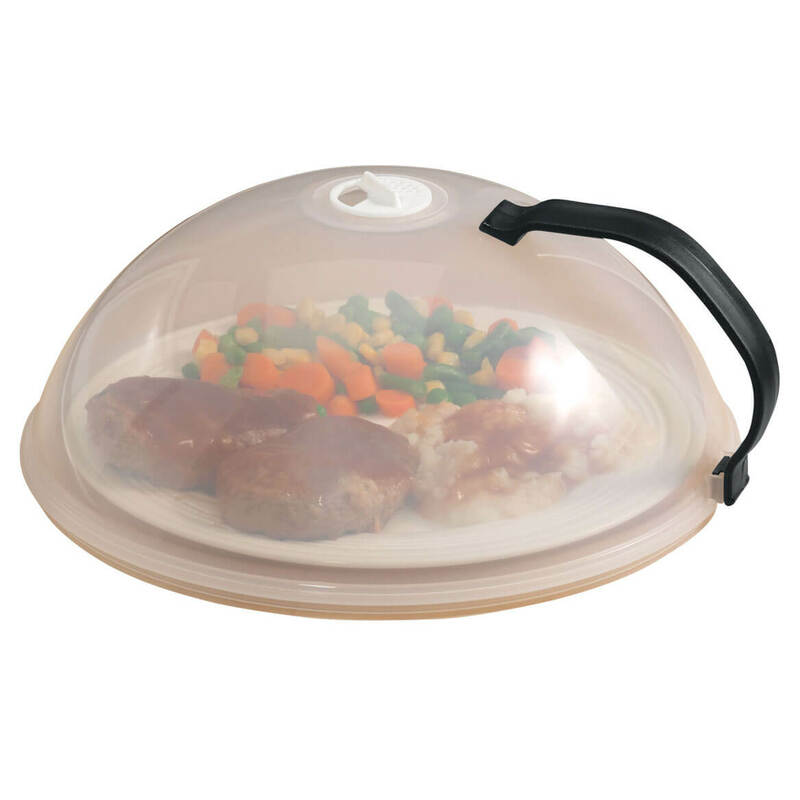 Large, vented microwave cover has dome-shaped lid that fits over most plates and bowls. 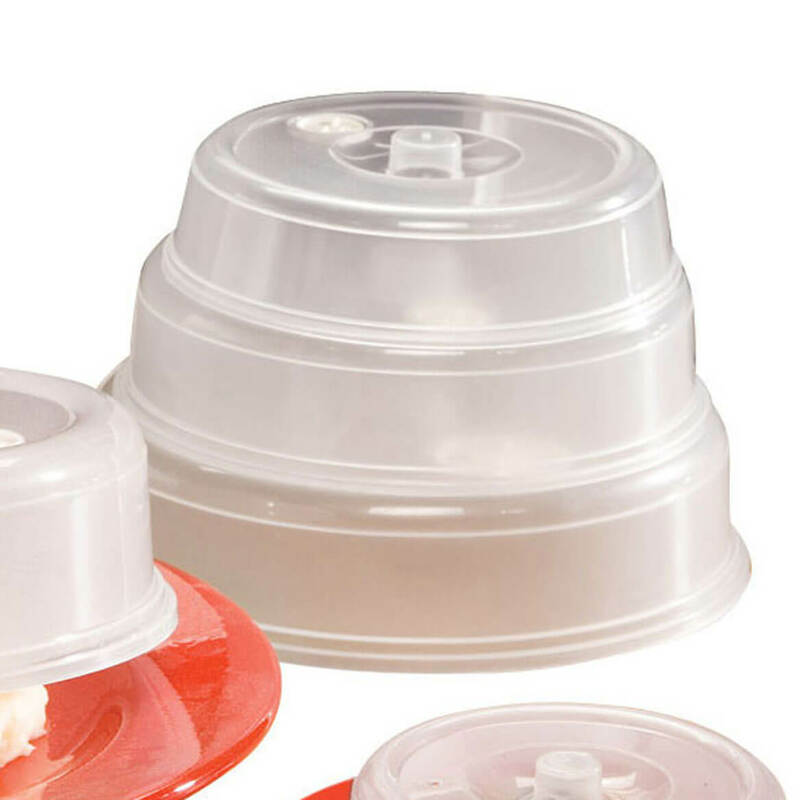 This microwave dome cover is perfect for splatter-free microwave cooking and even heating. Adjustable vent allows steam to escape; stay-cool handle assures easy removal. 10″diameter x 4″ high. Polypropylene; dishwasher safe.